Samsung’s recently released Galaxy Tab S4 10.5 is the Korean manufacturer’s flagship mobile tablet, with a retail price of RM1,699. It comes with a Snapdragon 835 processor, the S-Pen stylus, and also the ability to run in a desktop-mode. 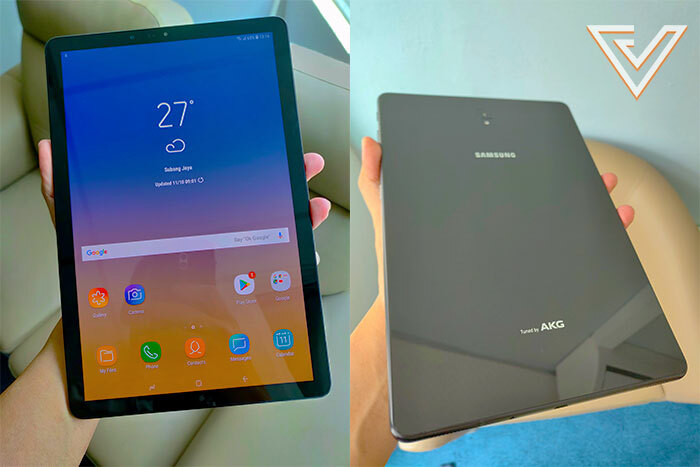 Recently, I reviewed Samsung’s Galaxy Tab A 10.5 and made note of its capabilities as a pretty apt device for doing the casual stuff—surfing, watching TV series, playing casual games. In the review, I categorised it as a device that would be suited to those looking for a somewhat affordable big-screened device that could handle all the essential stuff just fine. This time, Samsung handed over to us another recently-announced tablet to try out—the Tab S4 10.5 (or just the Tab S4). Positioned as the more expensive and more capable sibling to the Tab A, the Tab S4 comes a grand more expensive, sitting it within the price range of a budget flagship phone, and also features a bunch of additional trinkets and features to try and justify that price tag. 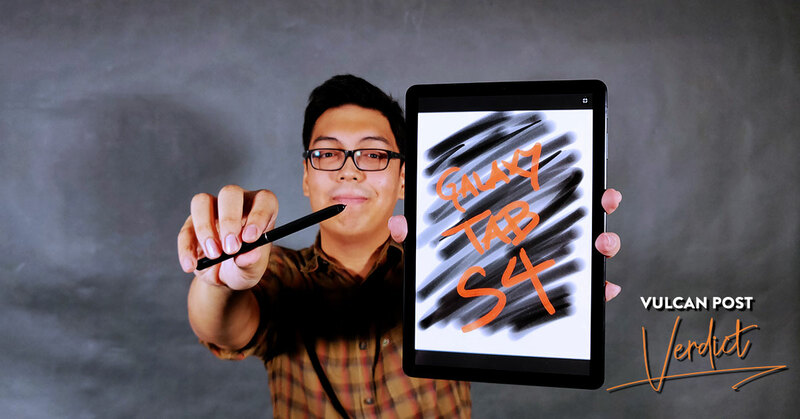 Among some of the unique selling points that Samsung included to make the Tab S4 a bigger draw is the S-Pen stylus for more precise control over various tasks (drawing, signatures, handwriting, etc) and the capability to transform the device into a desktop of sorts. 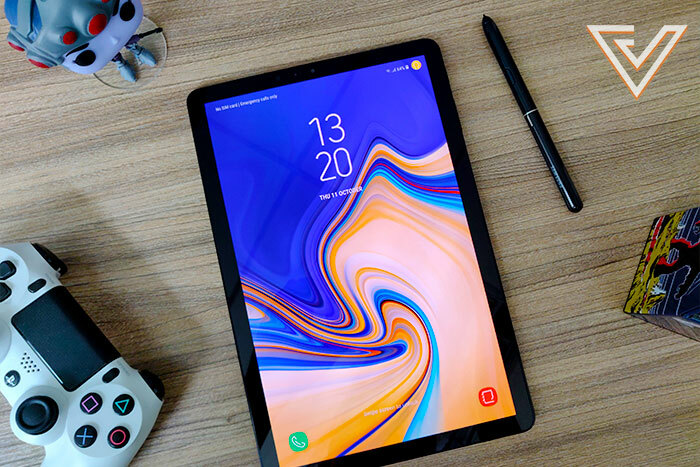 Unfortunately, Samsung again only provided us with the bare essentials—the Tab S4 and its accompanying S-Pen—and consequently for this review, I focused on the Tab S4 as a mobile device more than anything else. Compared to the cheaper Tab A, the Tab S4 boasts a far more premium build, with Gorilla Glass 3 on both the front and back of the device lending it the same sort of in-hand feel (albeit much larger) as most other glass-backed flagship phones in the market. On the sides, everything you’d expect to find is present and accounted for—power button, volume rocker, 3.5mm headphone jack, SIM tray—as well as the dock for the optional keyboard, and a pair of surround-sound quad speakers tuned by Samsung-owned AKG. The keyboard extension port on the left of the device. This comes ready to work hand-in-hand with the DeX desktop feature. These speakers turned out pretty great sounding for the most part, with Dolby Atmos certification bestowing it surround-sound capabilities just like the Tab A also had. The display was a 10.5 inch AMOLED panel that provided the image clarity and colour vividness you’d find from a top end Samsung device, right away setting up the Tab S4 as ideal for binge-watching movies, playing games, and even creating artwork. In terms of speed, the Android-powered Tab S4 tackled each task and activity I threw at it with the speed you’d normally expect from a flagship mobile device. Although not current gen, the nearly 2-year-old Snapdragon 835 is still fast and made it so that the standard things like emails, YouTube, and just overall navigating through apps and especially multitasking were smooth as you’d as expect. This smoothness even extended to playing demanding games such as PUBG and Mobile Legends, and it all just placed the Tab S4 firmly within the ranks of devices with enough power to perform even at the most demanding situations. This all also played in very nicely with the S-Pen that comes bundled with the device. 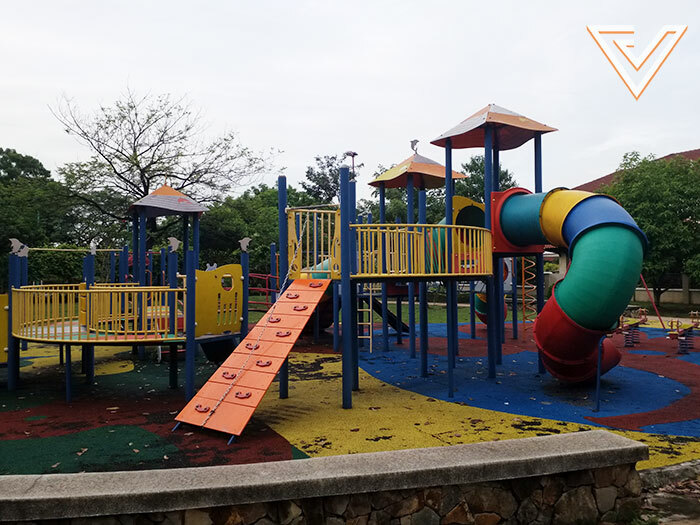 Unlike the low-Bluetooth-powered S-Pen that comes with the Note 9, this one wasn’t battery powered and as such didn’t really have the functionality set of the Note 9 such as remote photo-taking or presentation navigation. Yes, it all would have been better had Samsung included the same remote features as on the Note 9, but even without these features, having a stylus coupled with a large screen did provide me with some fun options, such as practicing my art on Adobe Sketch, and I’m pretty sure many others might also appreciate the ability to simply sketch or write on a huge surface area at any given moment (the Screen-Off Memo function lets you do this). Moving on to the camera, I found that the Tab S4 wasn’t a killer in the photo department much like its cheaper sibling, although photos were still acceptable and could probably become more aesthetically pleasing with a just a bit of editing thrown in the mix. 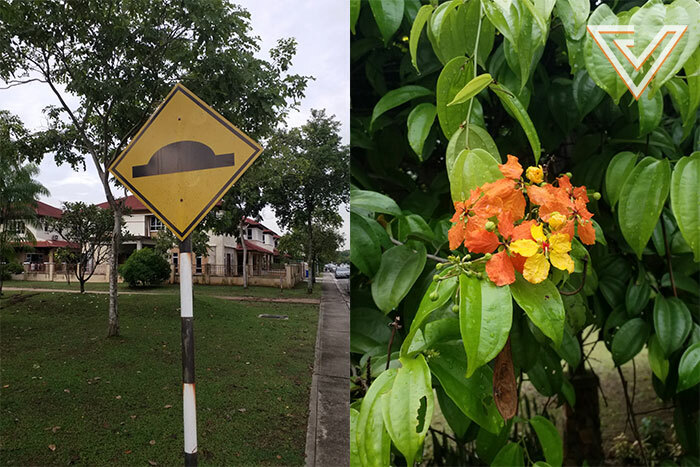 There’s plenty of detail in the shots, but colours could be more vivid. In the end, all these features would mean nothing without a good battery however, and thankfully the Tab S4 manages to deliver with its 7,300 mAh pack providing easily 2 days of power with light to medium usage. Aside from our basic testing, it’s also worth noting that the Tab S4 also comes with a number of other features aimed at productivity tasks. For example, their famed DeX feature that lets you turn into a semi-desktop of sorts, with app orientations looking as you’d see on a PC. 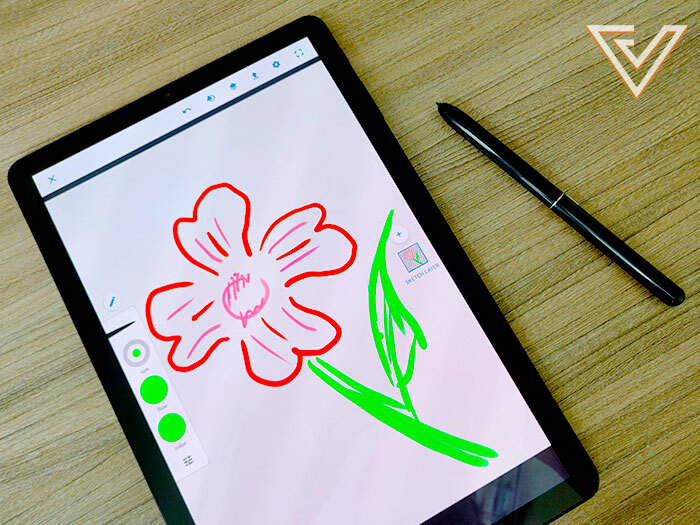 If needed, this feature also can also be enhanced further by plugging the device to a HDMI screen and using the Tab S4 as a second screen, a trackpad, or even a Wacom-style pen display for creating artwork. It was unfortunate that Samsung wasn’t able to pass us a keyboard or a HDMI adapter to test out the DeX feature, and although I managed to turn on the desktop feature on through the settings, not having the keyboard extension meant that functionality was no better than using it in just tablet mode. But still, I can see the value in having such a feature, just as long as there exists enough support for such a feature, with third party support being especially important here (this probably goes the same for other similar tablets with desktop features). Or maybe, Samsung could just devote more resources to updating and developing for the DeX feature? We’ll just have to wait and see. While my review experience with the Tab S4 wasn’t a comprehensive one due to obvious absent features and functions that I hope to be able to test in the future, I still came away from using the device pretty satisfied at what it could do even just on its own (along with its S-Pen, of course). As I observed, the Tab S4 does position itself as a tablet that can do everything you need it to, and then also competently do the things you might not know you want to. 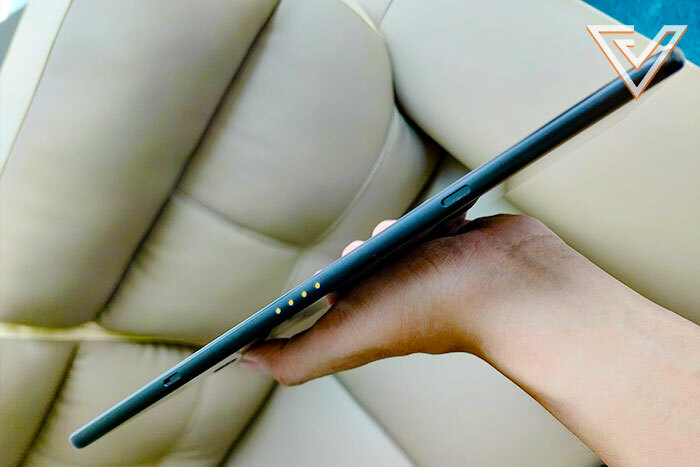 The only thing hindering the Tab S4 becoming an instant hit is its admittedly steep price tag, with its previous-gen processor in particular proving a bit of a question mark in terms of value. But still, the Tab S4 still has value in other areas, especially in the versatility department. Sure, some of the extra productivity features might not be everyone’s cup of tea, but for those with the extra cash to spare, the Tab S4 is at least worth a look. You can find out more about the Galaxy Tab S4 here.